The Clifton Water District (District) was formed as a Special District within the state of Colorado in 1951, and provides water service to more than 13,700 residential and commercial users. When the District’s conventional water treatment system was no longer able to cost effectively treat their source water, it became necessary to purchase more expensive potable water from an outside supplier. To minimize the impact of the higher water cost to their ratepayers, the District determined an upgrade of their existing treatment system was necessary. When it was time to implement this upgrade, the District knew they needed to balance a number of key objectives, primary among these was to continue to supply their customers with a reliable source of potable water during construction of the project. 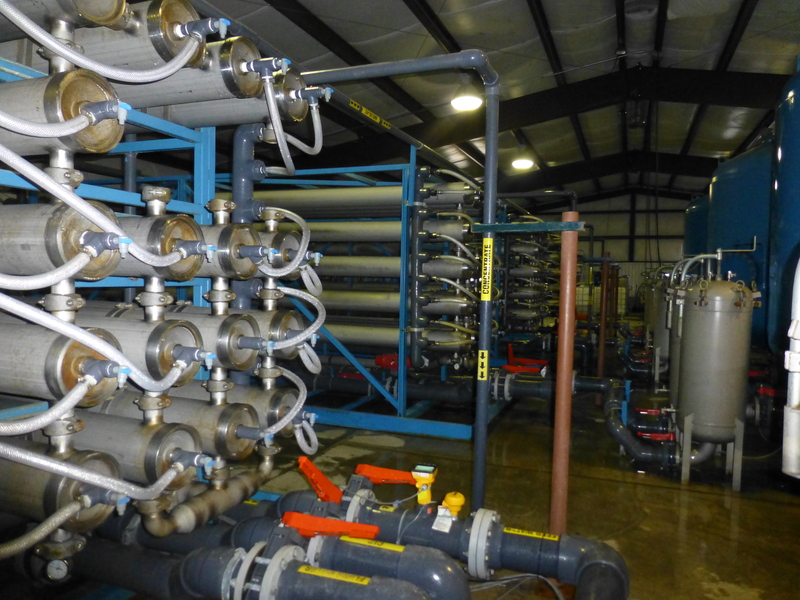 Given the treatment challenges of the changing source water, the District determined that conventional treatment was not adequate for their future needs, and that a membrane filtration system was likely the best choice for their plant upgrades. However, the District had several concerns with membrane treatment, including capacity losses due to long-term membrane fouling, the impact of pretreatment polymers on capacity, membrane integrity, and realizing the benefits from a competitive membrane procurement. Because of the critical nature of the project, the District knew they wanted active participation in both the design and construction process. They also wanted to complete the project as quickly as possible, with minimal disruption to ongoing treatment operations. To get the project underway as soon as possible, they needed a procurement process that was streamlined, yet provided them the flexibility to select their design-builder on the basis of qualifications and project approach. Given these project drivers and goals, the District determined that the progressive design-build delivery method would best meet their needs. Using a two-step procurement process, the District selected the Carollo Design-Build Group to help them implement this project. Together, the District and Carollo Design-Build Group designed the upgraded water treatment system utilizing an “open platform” Ultra and Micro Membrane Filtration System. This approach allowed the design-build team to work closely with the membrane manufacturer to secure early procurement of the membrane equipment, which significantly reduced the construction schedule. Additionally, lead engineers were able to develop the design around the exact process equipment to be used, making for a more efficient design. Throughout the entire design process, District operations and maintenance staff were engaged in evaluating constructability issues, refining the general arrangement of the new treatment equipment so it could be placed within the footprint of the existing treatment building, and validating the approach for maintaining normal treatment operations throughout the construction, checkout, and commissioning steps of the project. Completion of the project was performed on schedule, avoiding the need to purchase water from the outside supplier for another summer season. Vincent Hart, PE, an Executive Vice President with Carollo, has 25 years of experience in planning, design, and expansion of water supply, water treatment, and water distribution facilities. He has been involved with multiple bench and pilot studies involving design and expansion of water treatment facilities, including ultraviolet (UV) disinfection, and has written various publications and given presentations on the subject. Mr. Hart has served as water supply engineer for design and operation of pilot plant facilities and water treatment plant expansion projects. His areas of expertise include pilot plant design and operation, water treatment plant design and operation, membrane filtration facilities, and UV disinfection for drinking water. Topics: Carollo, Progressive Design-Build, Water Design-Build Project.